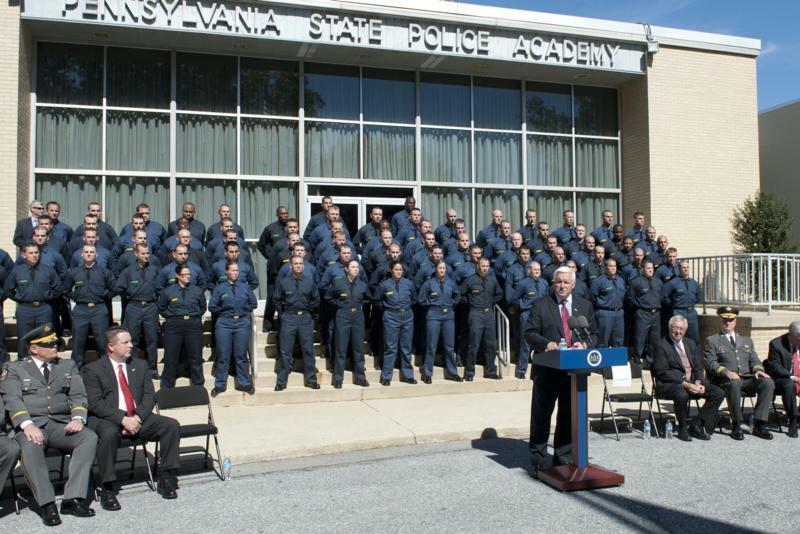 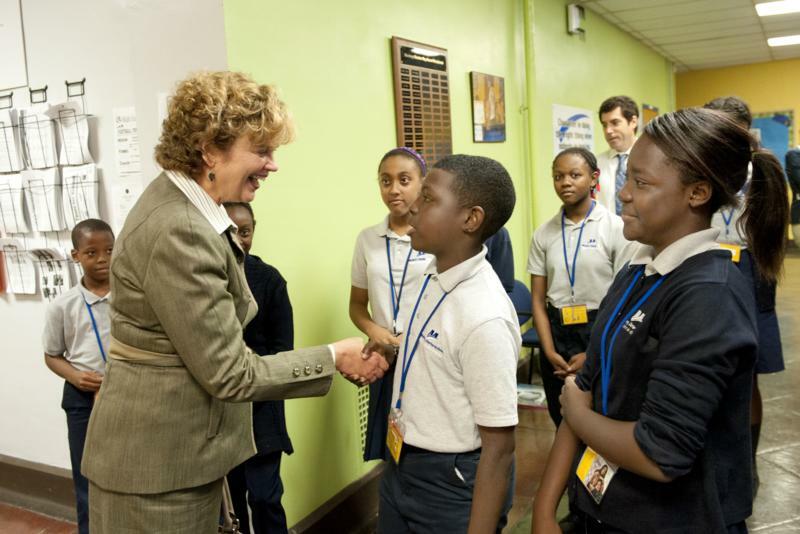 Governor Tom Corbett today applauded efforts by the state legislature to support funding for the Pennsylvania State Police, including two new cadet classes. 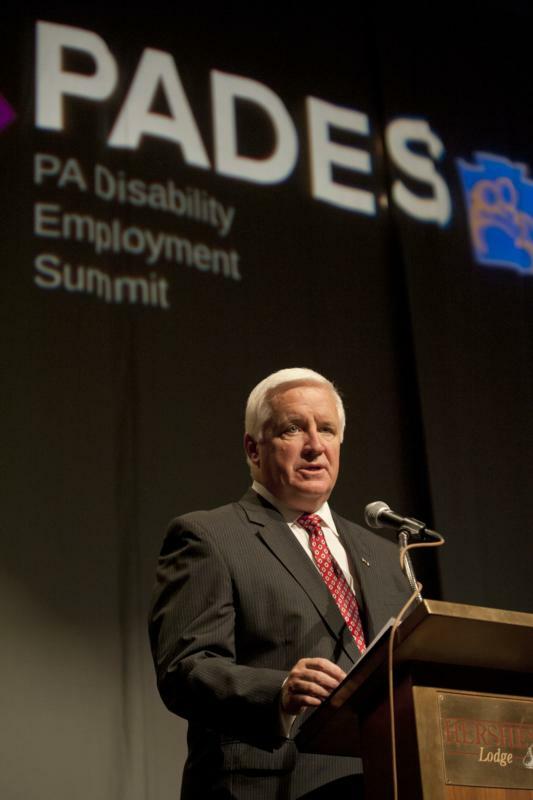 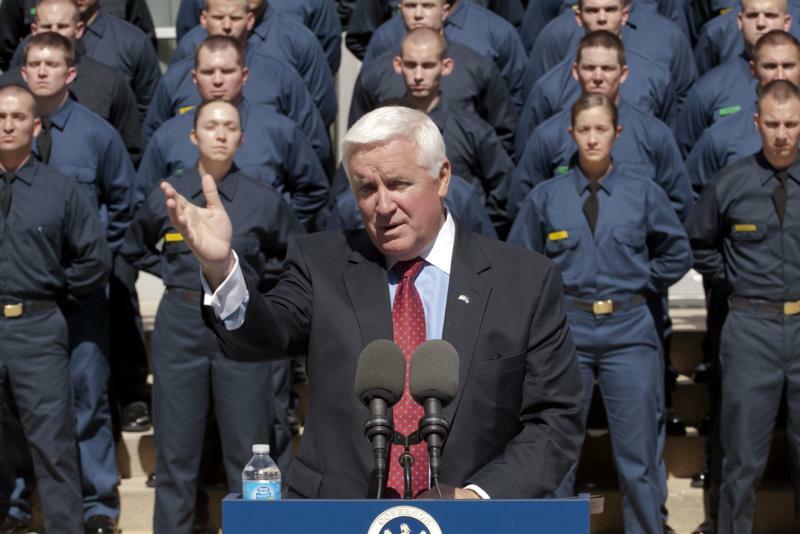 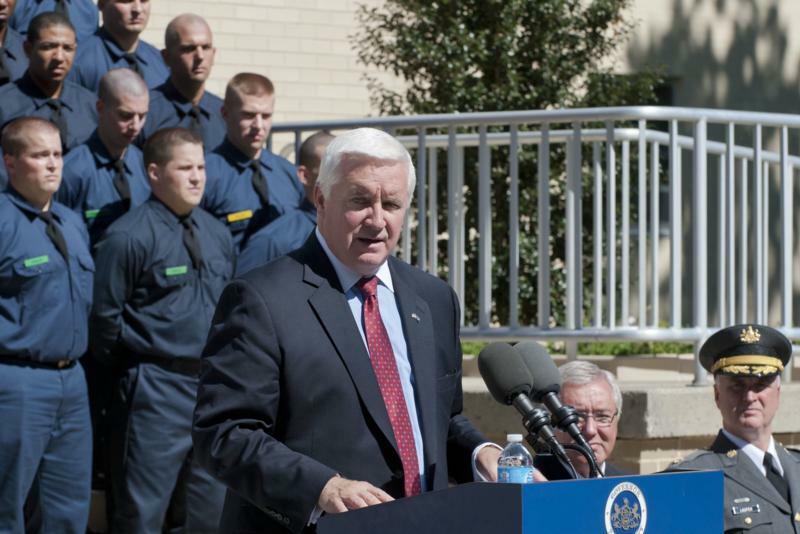 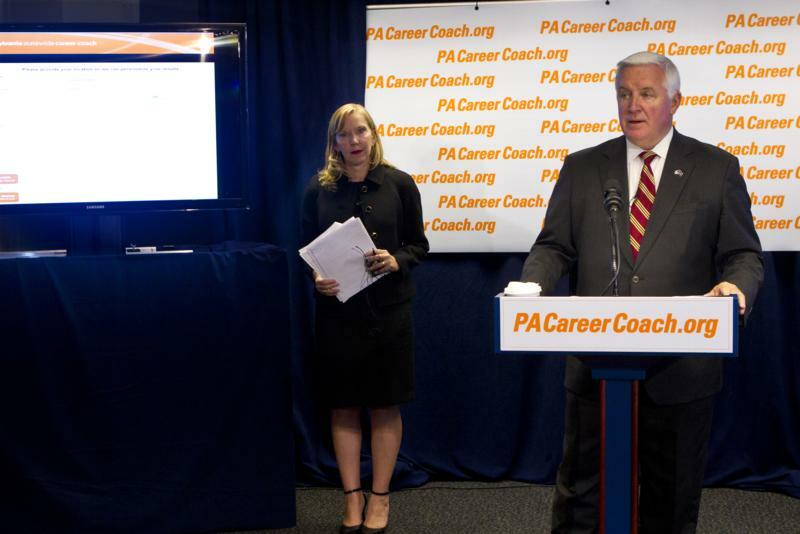 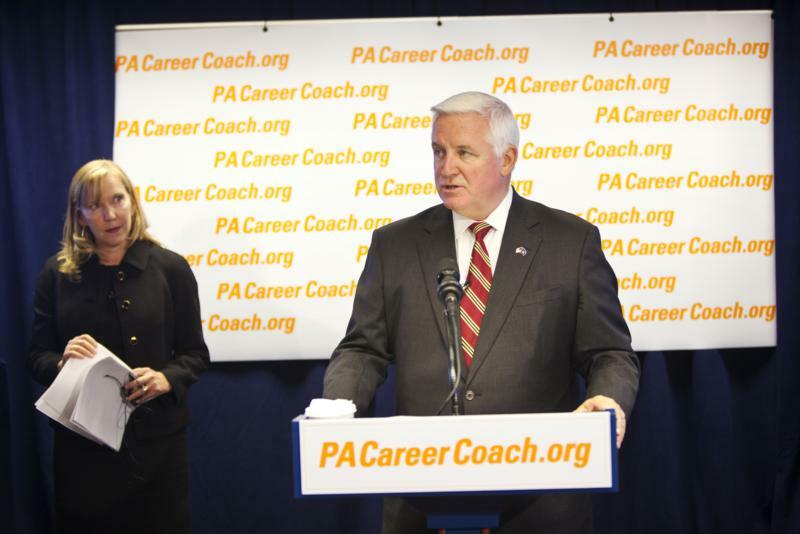 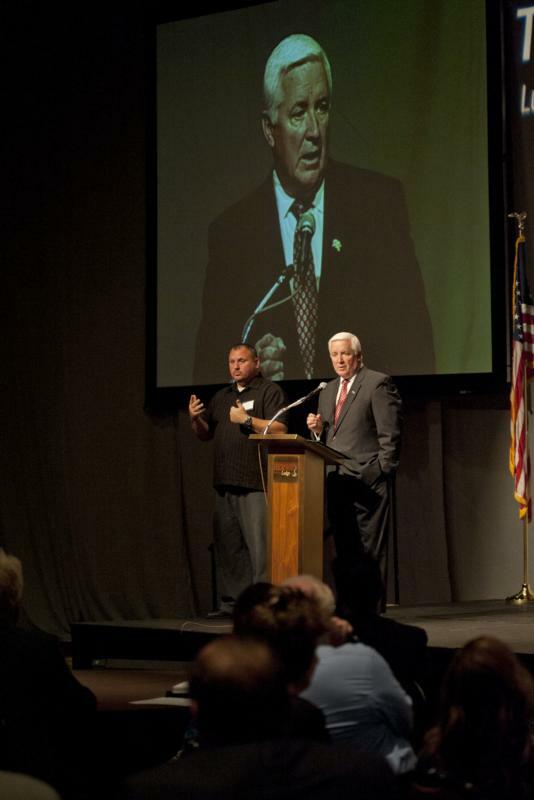 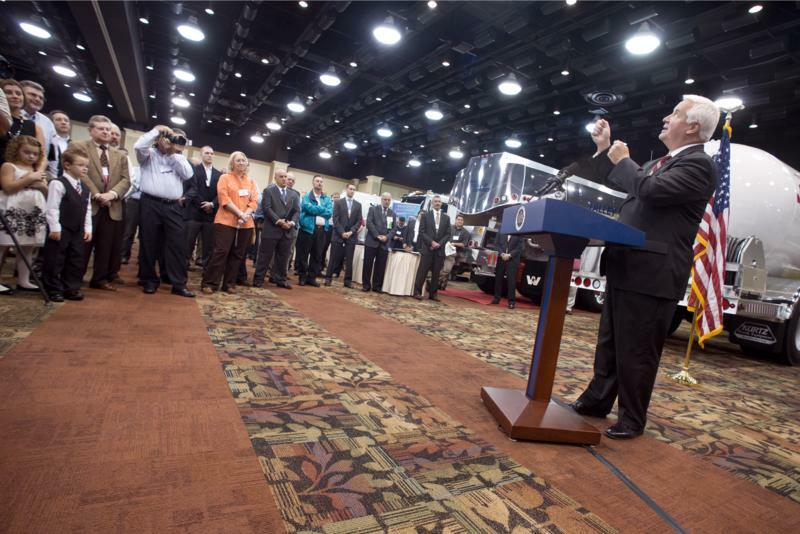 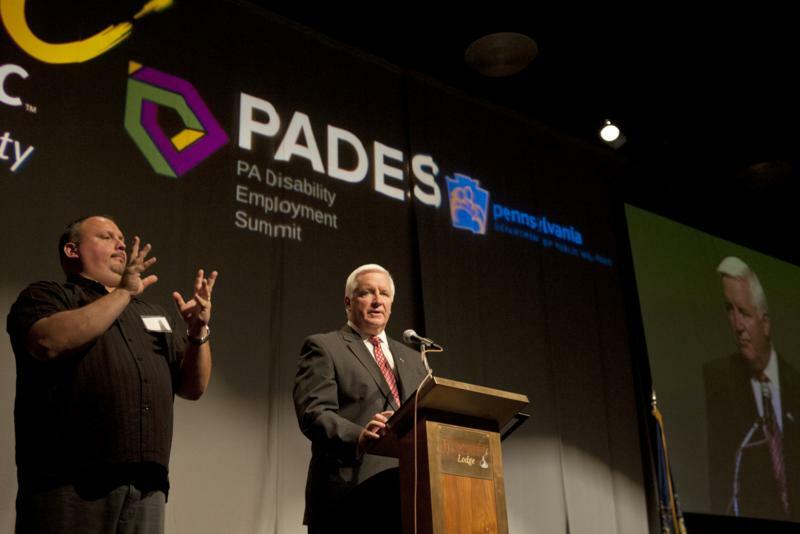 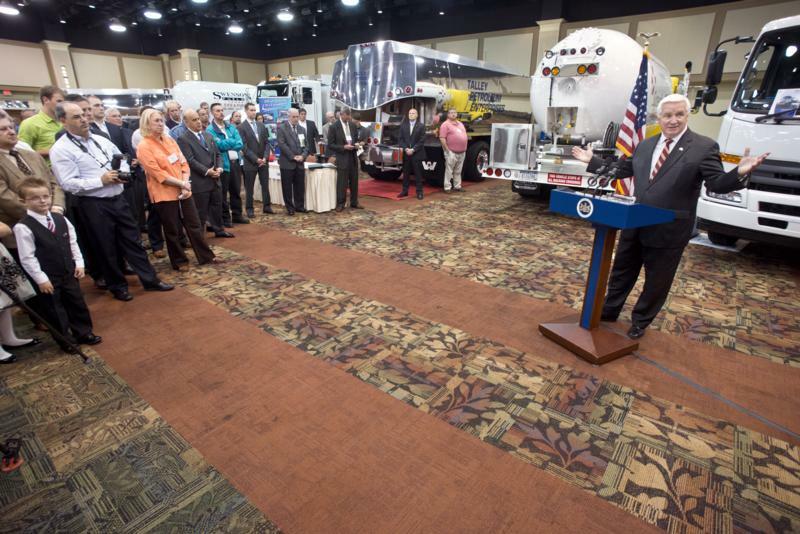 Hershey - Governor Tom Corbett today applauded efforts by the state legislature to support funding for the Pennsylvania State Police, including two new cadet classes. 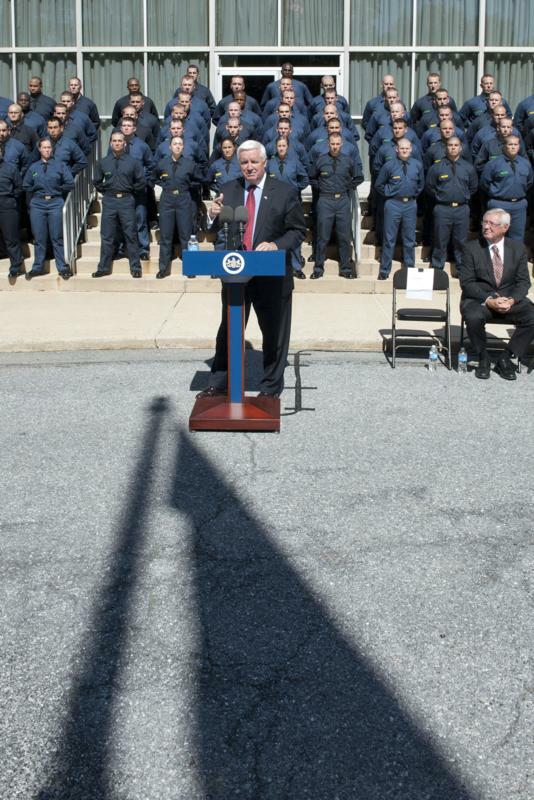 Standing behind the Governor on the steps of the State Police Academy in Hershey today were some of the 101 new cadets scheduled to graduate in December as well as 78 additional cadets expected to graduate in March 2013.
ennsylvania First Lady Susan Corbett, along with former Pennsylvania First Lady Michele Ridge, today joined the Pennsylvania Breast Cancer Coalition (PBCC) as it turned the State Capitol's War Veterans Memorial Fountain pink for Breast Cancer Awareness Month. 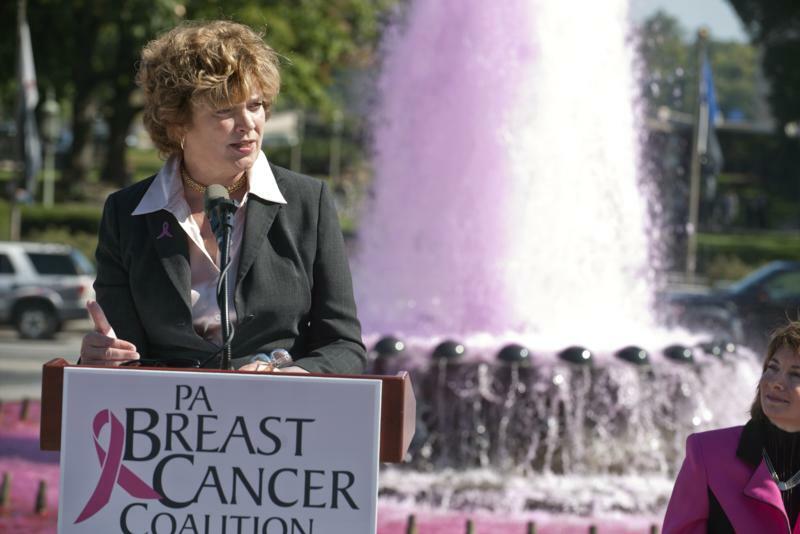 The event marked the PBCC's 20th anniversary of raising awareness of breast cancer in Pennsylvania. 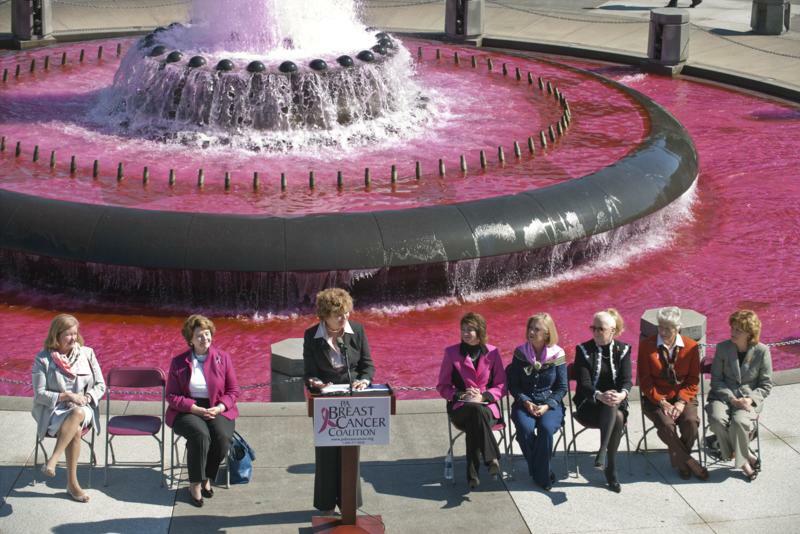 Pennsylvania First Lady Susan Corbett, along with former Pennsylvania First Lady Michele Ridge, today joined the Pennsylvania Breast Cancer Coalition (PBCC) as it turned the State Capitol's War Veterans Memorial Fountain pink for Breast Cancer Awareness Month. 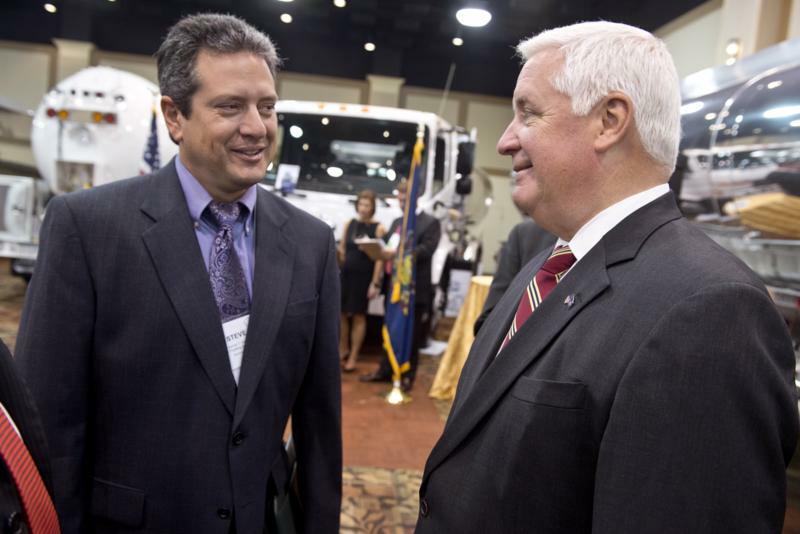 The event marked the PBCC's 20th anniversary of raising awareness of breast cancer in Pennsylvania. 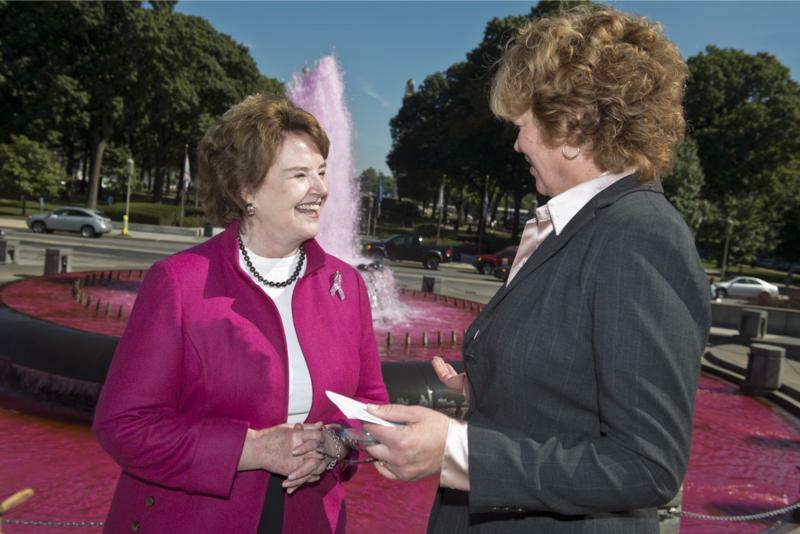 October is Breast Cancer Awareness Month, which reminds all women of the importance of breast health, the need for self exams, check-ups and mammograms. 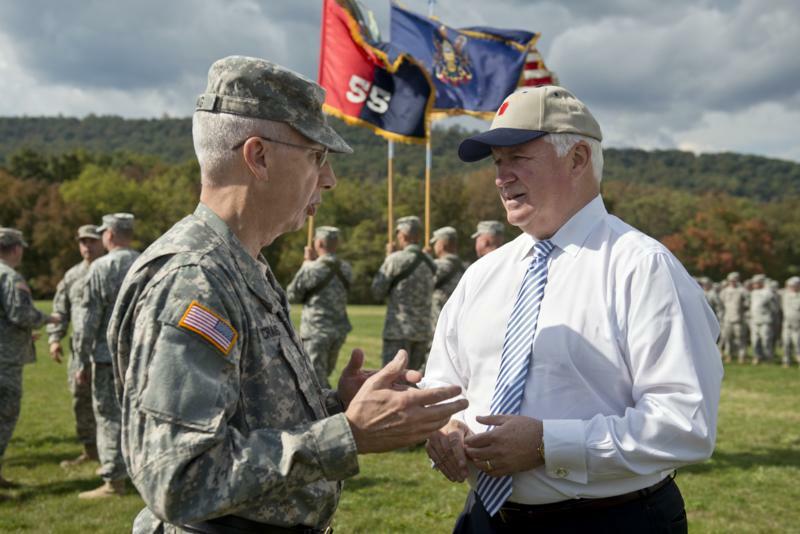 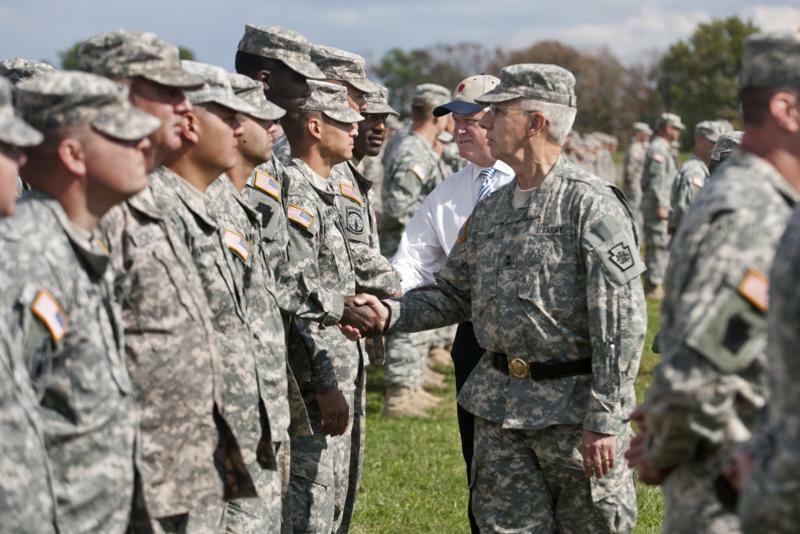 As many as 1,500 members of the 55th Heavy Brigade Combat Team gathered today at Fort Indiantown Gap to mark their upcoming deployment to Kuwait. 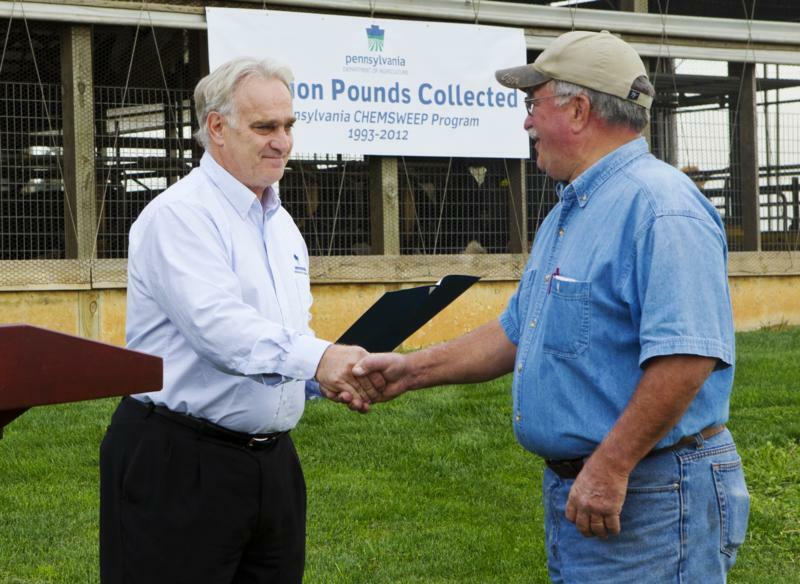 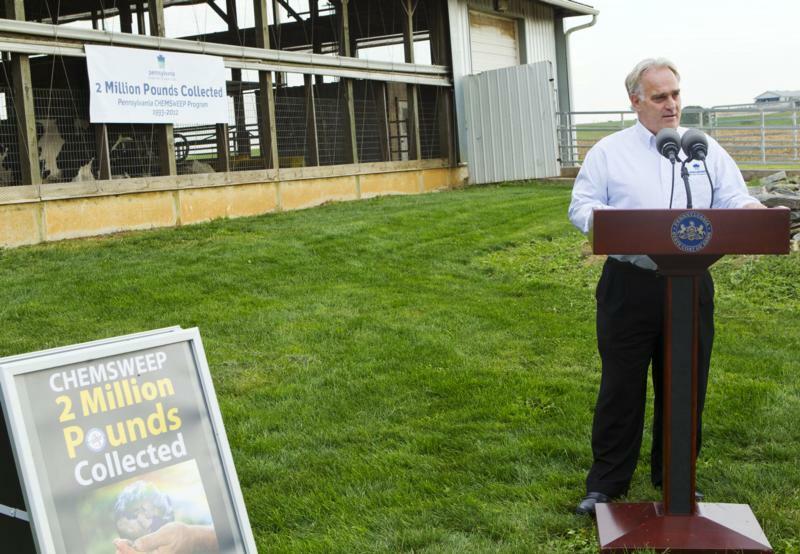 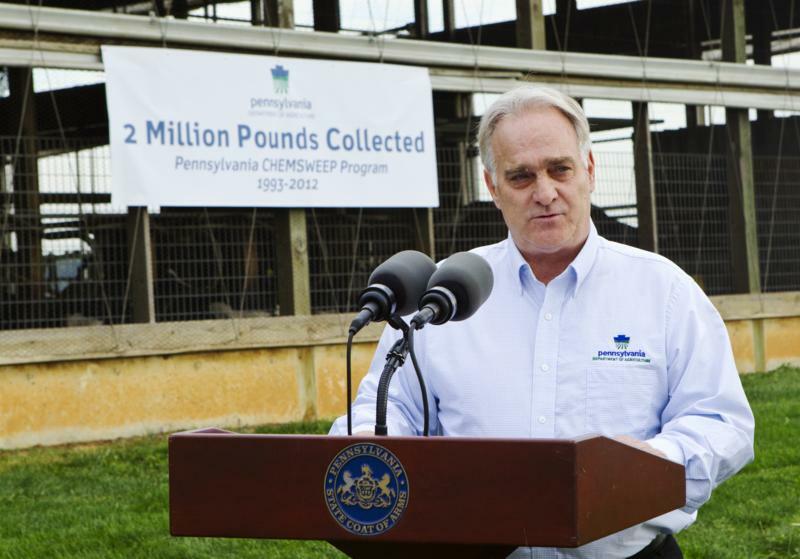 A Pennsylvania Department of Agriculture program that collects old pesticides from farms and pesticide application businesses has safely disposed of two million pounds of unwanted or unusable product across the state.